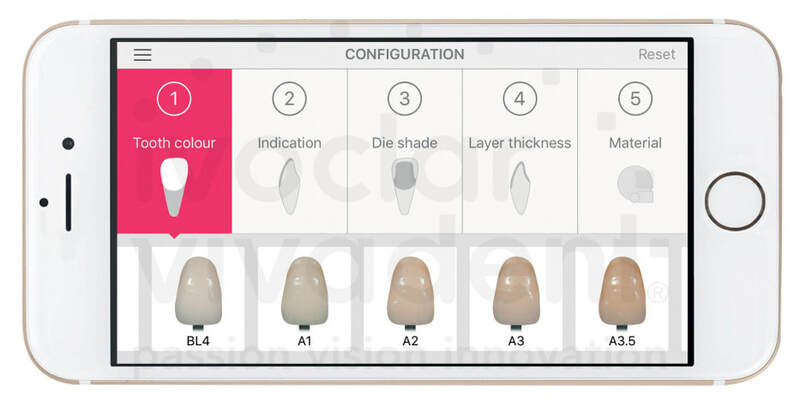 The new IPS e.max Shade Navigation App finds the correct shade and level of translucency for all IPS e.max restorations. All the important factors that influence the overall shade design are taken into account. It is the interplay of these factors that results in the overall shade effect. Simply feed the app with information about the corresponding data and it will present you the best solution – for a reliable and relaxed working. 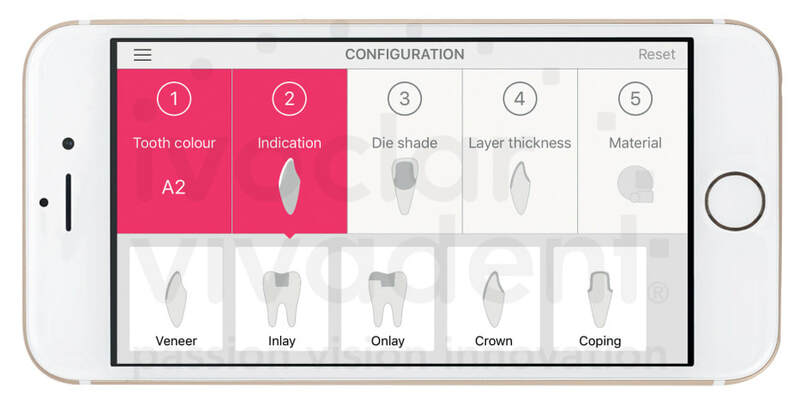 Determine the tooth shade after tooth cleaning and on the non-prepared tooth and/or the adjacent teeth with the help of the A – D shade guide. Select the desired indication, e.g. veneer, crown etc. 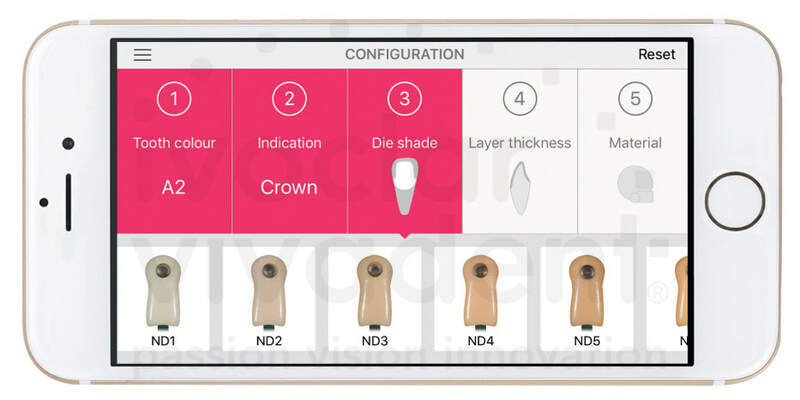 Determine the die shade with the IPS Natural Die material shade guide at the largest, most discoloured area of the tooth stump. Determine the layer thickness either manually with calipers or digitally by means of the CAD software. Crowns, veneers and copings are measured at the thinnest vestibular point, inlays and onlays at the thinnest occlusal point. Select the desired material: IPS e.max CAD, IPS e.max Press or IPS e.max ZirCAD. The visualization of the result allows you to compare the restoration shade with the A-D shade guide and identify necessary shade adjustments in advance. The app, which is suitable for Android or iOS smartphones and tablets, can now be downloaded.